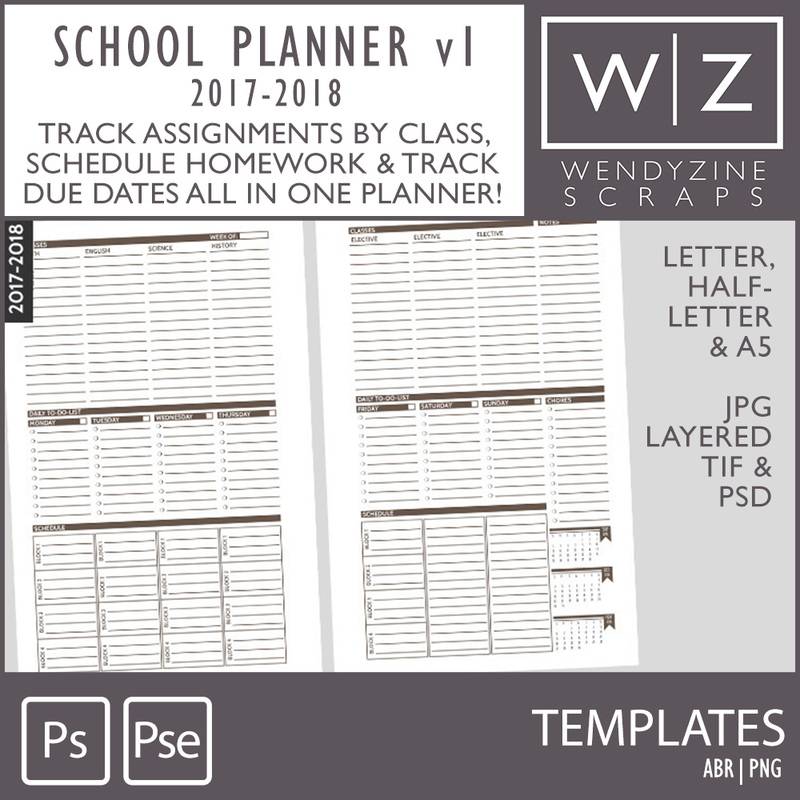 Take control of your school work with these weekly school planner inserts. Two pages is one week. Use the top section to record assignments during class. Use the second section to plan your homework time. Use the bottom section for reminders on what is due that each day. Includes space for notes, chores and monthly calendars. Decorate or print and go hybrid. Includes mini 2018 calendars for reference. Layered PSD, TIF and printable JPG, PDF. Letter, Half Letter and A5 sizes, with room for punching.